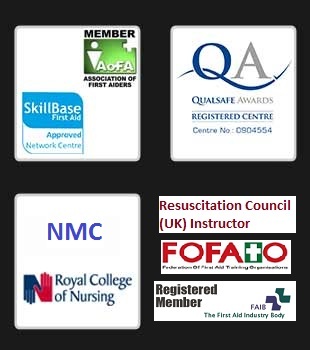 ResusPlus Training provides First Aid For Appointed Persons training which is designed for staff who work in lower risk environments, have a small number of staff, or where HSE guidelines indicate a first aider is not necessary. Although the appointed person first aid course is still available we would recommend that candidates review the 1 day Emergency First Aid At Work course (EFAW) introduced by the Health & Safety Executive on 1st October 2009. The EFAW course gives the first aider more options & flexibility in the first aid roles they can cover in the work place. This course can be adapted to suit a particular audience and is ideal for people requiring Appointed Person status, in accordance with the Health and Safety (First Aid) Regulations. This course is suitable for up to 12 candidates. The course price for up to 12 candidates is £240. First aid for appointed persons certificate, valid for 3 years. We recommend refreshing your skills every 12 months.